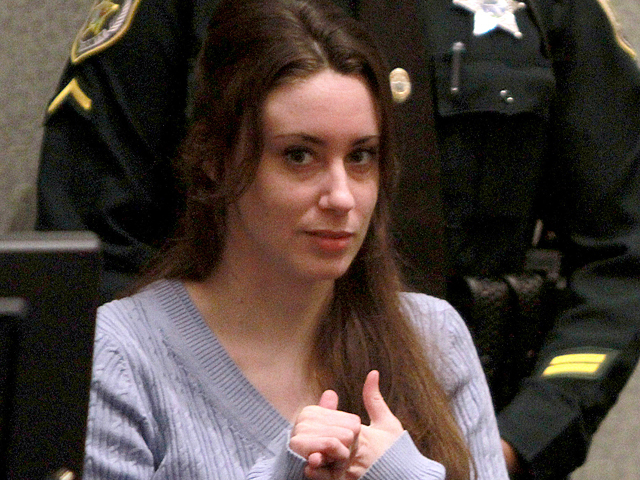 (CBS) - The Los Angeles Examiner is reporting that Casey Anthony has a deal in the works to write a memoir with a ghost writer. According to the site, Anthony, who was acquitted of first-degree murder in the death of her daughter Caylee, settled for the deal because her reps were afraid there wouldn't be too many other offers. The book will highlight life growing up in the Anthony family and becoming and teen mom, reports the site. According to the Examiner's sources, Caylee's father will finally be named in Anthony's tell-all.